Sleep better or relax in your favorite chair without incontinence worries. 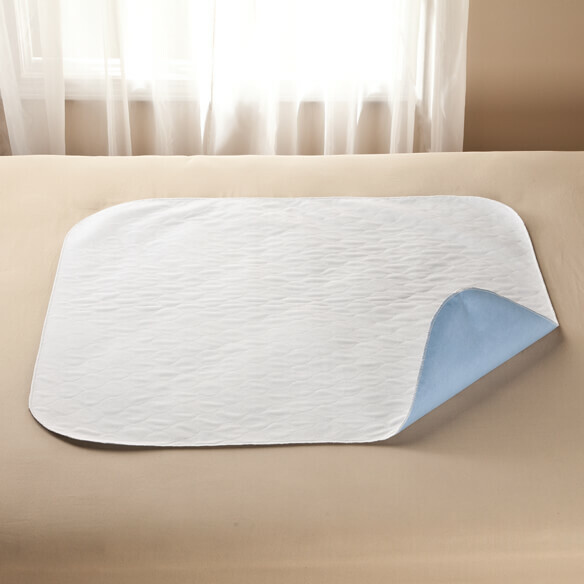 Washable, reusable incontinence underpad helps keep surfaces clean and dry with 3 durable layers: a polyester cover for soft comfort on top of sheets, an absorbent core for all-night peace of mind, and a waterproof moisture barrier to stop leaks. 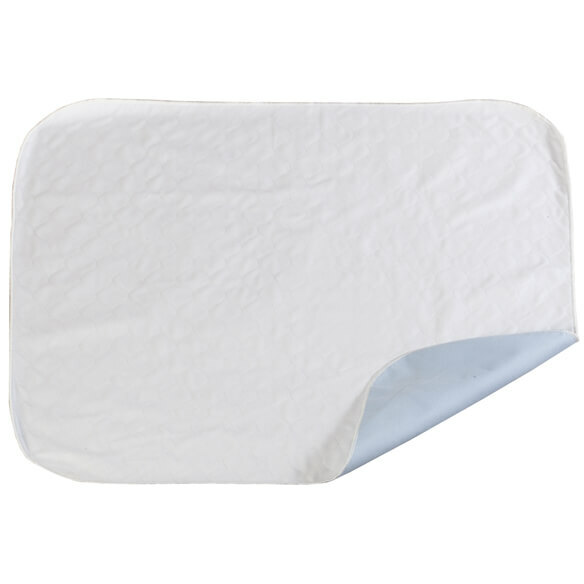 Incontinence pad provides discreet protection that stays in place on sheets and furniture. Incontinence bed pad made with 81% polyester/11% rayon/8% polyurethane. Machine wash hot water; tumble dry low. Do not dry clean. Select Size 20" x 33" 34" x 36" 36" x 54"
The pads are great, and wash up beautifully. They save the sheet and mattress from moisture. I am very pleased with them. For my older bulldog with wetting problems. To replace some pads that I had bought elsewhere, which aren't performing as promised. Hoping these are better. Great item, great for protecting furniture and they are machine washable ! Can never have enough of these. Will try this one to see how it washes up and if good, will order more. They work wonders and make cleanup a cinch! I need this size pad. The one I ordered before is working great, so i ordered more. Wanted to try a washable pad. Having more problems with incontinence do to medication. I want to decrease the amount of plastics I put into the environment. I have an incontinent problem and need to be careful. husband has incontinence and it helps with keeping the bed dry. I sometimes have small accidents. These are very good with the size they are and made very well. This pad is great for travel. convenient and doesn't take up too much room in luggage. because I needed them to help me with my mobility problrms. pads with plastic on back are no good. they slide,,,surely you know if there is plastic on product?????????? ?